…when they are determined to add quality Devon to their herd! Roger and Elaine Witzig picked up a full load of Thistle Hill Devon in Virginia and transported them back to Gridley, Illinois…in all they were on the road 32 hours! Son Shannon took the photo of the arrival at 1:40 in the morning! 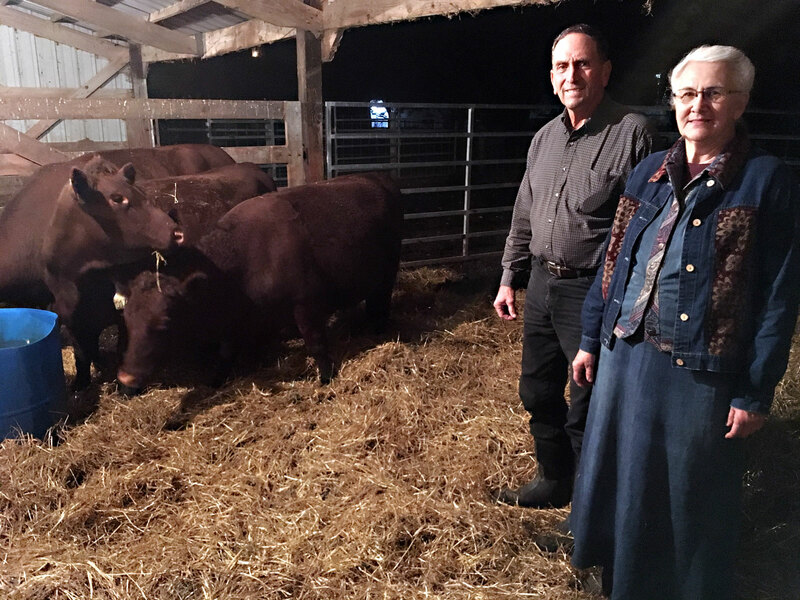 The Witzigs purchase included two cows, two bred heifers and a young bull. We appreciate their confidence in Thistle Hill and invite you to drop by and share in the enthusiasm.